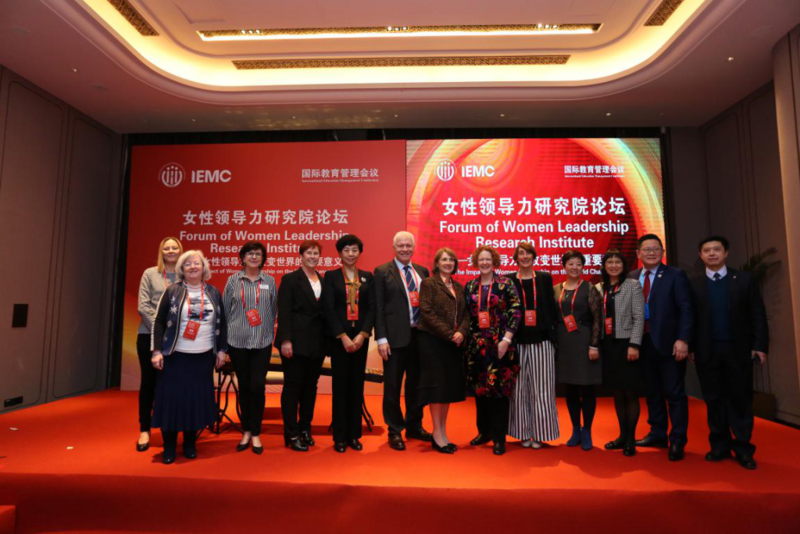 On 18th January 2019, the Forum of Women Leadership Research Institute (WLRI) was successfully held by AEMG. The Executive Dean of the Faculty of Life and Health Sciences and the Queen’s Honours OBE owner Professor Carol Curran, Ms. Melissa Banks from James Cook University, Professor Sarah Todd from Griffith University, Professor Jenny Dixon from University of Auckland, Associate Prof. Joy Rathjen from University of Adelaide, Mrs. WANG Jing from Australia Education Management Group, Ms.Tracy Harris from RMIT University, Ms. Shuxia Hou from Inner Mongolia University of Finance and Economics, Ms.Ying Huang and Ms. Hong Li from Yunnan Normal University, Mr. Yongda Wang, AEMG Senior Consultant and Prof. Sanqing Ding from China University of Mining and Technology , as well as the other outstanding women leaders from our partner universities were invited to participate in the forum. The theme of this forum is The Impact of Women Leadership on the World Changing. Ms. Melissa Banks from James Cook University and Ms.Tracy Harris from RMIT University were invited to be the host. During this forum, the outstanding women leaders shared their experience and talked about women leadership development, the characters of women leaders and the balance between work and home. In the end all guests who attended this forum selected the most intriguing speakers and awarded on the forum. The forum met a happy ending in a harmonious and pleasant atmosphere. The successful host of today’s forum will accelerate the comprehensive development of career, family and personage for the female leaders from China, Australia, the United Kingdom, the United States of America, New Zealand and European countries. It also established a strong base for the operation and further development of AEMG Women Leadership Research Institute.